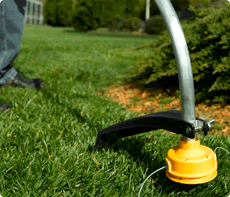 Trimmers have a number of product features and moving parts that's why regular trimmer or weed whacker maintenance is an important factor in keeping your lawn equipment working at peak performance. Gas powered engines are especially vulnerable if not started for during the winter months. Cutting/trimmer head should be checked, and cables should be adjusted.